Meadowside Farm was acquired by the family in late 2004. Our intention was to renovate the old farmhouse and buildings to provide a home for both ourselves and our numerous animals. We also wanted to live the dream of running an animal related business. The first step was to set up a stable yard for the horses which also provides a livery service for a few privately owned horses. Then, having always been passionate about cats, the next natural step was for us to set up a cattery. It was a slow process building this as we decided to go down the route of doing it all bespoke to fit our vision but this has resulted in top quality accommodation for boarding cats. 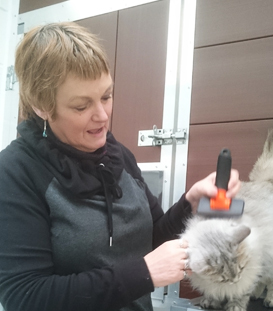 The cattery is run by myself (Caroline) and my mum (Helen) Having worked in catteries before and with presently ten cats between us we are very experienced in dealing with the needs and ways of our feisty feline friends. 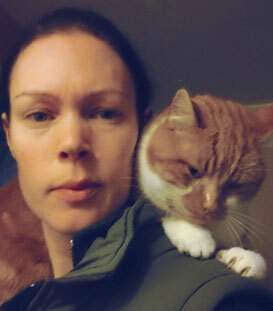 Since our opening in July 2012 the business has gone from strength to strength and we now have a few select staff who share our passion for cats to assist us in ensuring all the cats that stay with us receive the attention they need and deserve. Be assured that every cat will be cared for with that personal touch and that all his/her individual needs will be catered for.